Earlier this week, NAHC posted an excellent article following the California Supreme Court decision that the caregiver assumes risks when working with dementia patients. We wanted to point out the list at the end of the article which shares a few lessons for home care agencies as a result of the decision. First, the agency-employer should make sure that the assigned workers are fully aware of the care setting and client’s condition on all assignments. This will help manage risks and put competent workers into the care of clients. Second, home care agencies should provide adequate training and support for workers specific to the nature of the clients they serve. For example, serving clients with a form of dementia requires directed training and support that is different than providing services to individuals with physical disabilities. Third, agencies should take all reasonable measures to reduce foreseeable risks in the home care environment that are due to any hazardous condition related to the nature of the client and her care needs. These steps help manage risks that a worker will be injured, clients needs will not be met , and agencies will fail to adhere to community standards of practice and/or licensing laws and accreditation standards. 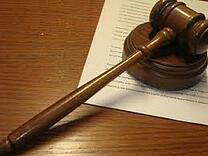 In addition, it will reduce the risks of litigation that involves any and all of the stakeholders involved. What other advice or thoughts would you share?